b. 1971, Leighton Buzzard, UK. Lives and works in Glasgow. Studied Painting at Glasgow School of Art, Glasgow. 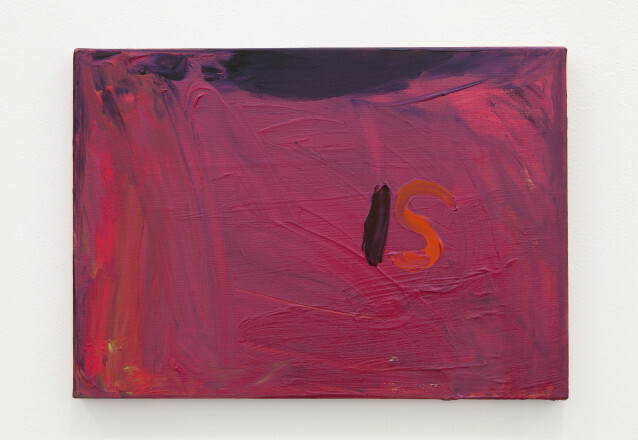 Sue Tompkins’s art is dominated by language whether it is spoken, painted or typed and pinned to the wall. Formerly the lead singer of the celebrated post-punk band ‘Life Without Buildings’, the artist is best known for her highly distinctive spoken-word performances where her speech is extended through movement. 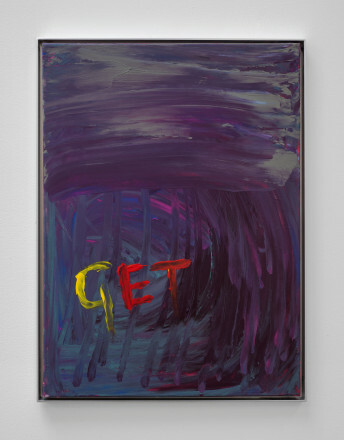 In 2013 Tompkins returned to painting, having focused on text and performance since graduating from the Glasgow School of Art in 1994. These new works connect the artist’s strands of practice in a thrilling way, combining the rhythm and texture of her use of language with an extraordinarily expressive colour palette. 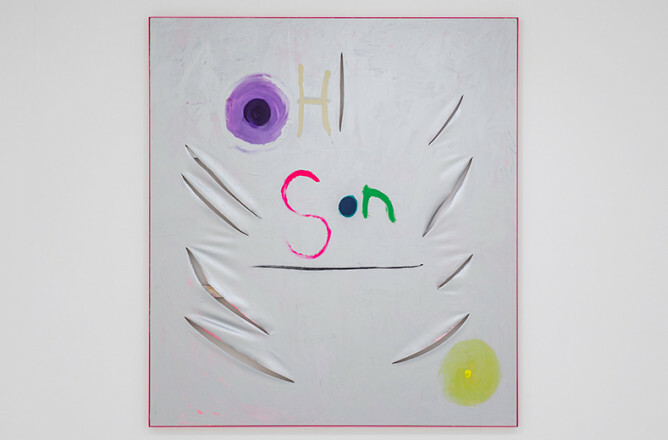 Selected solo exhibitions: Come to Ozark, GOMA, Glasgow (2014); Skype Won’t Do, Diana Stigter, Amsterdam (2013); Its Chiming in Normaltown, Midway Contemporary Art, Minneapolis (2012); self-titled shows at The Modern Institute, Glasgow (2013); Salute to the Dataday, Contemporary Art Museum, St Louis (2009); and In the Zone of your Eyes (with Hayley Tompkins), West London Projects, London (2005). Represented by the Modern Institute, Glasgow.